We proudly present our sole Italian and museum worthy vehicle in our complete inventory. This incredible Italian is concours and showroom quality and needs to be presented to the world behind a shop window. The condition of this vehicle is hard to believe if you don’t see it yourself. Truly in exceptional and stunning original condition, like brand new - inside out. We honestly believe and claim that there is no better Bertone Ritmo Convertible in this condition on planet earth except in the Fiat Museum in Torino, Italy probably. Always garaged and meticulously maintained and preserved by its sole owner. There is absolutely no rust on this little Italian thanks to a liquid (Teroson) conservation and preservation process of the whole body upon delivery to the first and sole owner. No welding works, no dings, no dents, no scratches - it is literally the 9,5 out of 10. Thousand words aren’t enough to describe the beauty, originality and authenticity of this car. This vehicle is truly and solely a summer vehicle and was only driven during warm summer months. It never saw any kind of snow or salt on Germany’s streets. We have every proof for that. Vehicle was only registered from May till August / September starting back from 1986 till 2001. We were absolutely delighted when we purchased this car back in 2001 from its first and still last owner. It is the sole Italian classic car in our whole inventory and we are proud to call this car ours. We deeply hope that this beautifully maintained, and meticulously serviced and preserved Bertone Ritmo Cabriolet will land in a Fiat Museum one day because that is the only thing it deserves. 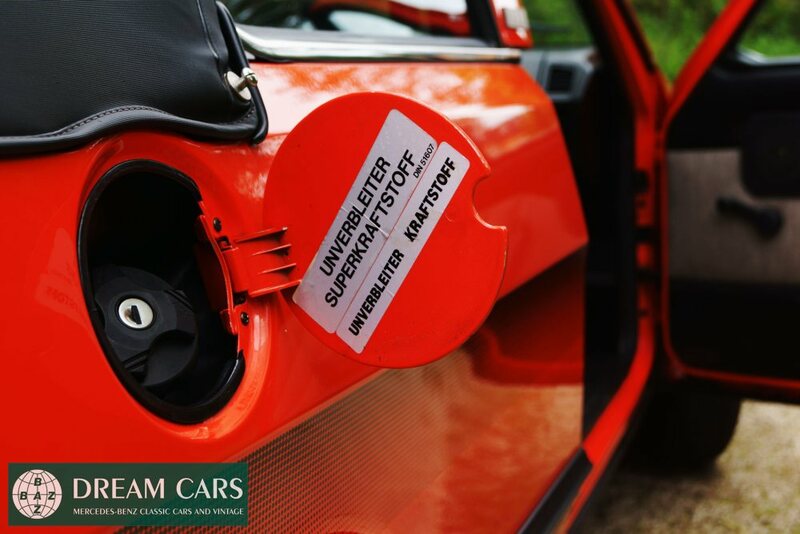 If you have other intentions and think that this car belongs in your garage or private collection and should be driven on a regular basis, then please arrange an appointment with us for an inspection and a test ride. We truly believe that we did not exaggerate with any single detail of the car. Consequently, you won't be disappointed with any single detail about this unbelievably original and authentic, little Italian - not at all!! We promise that sooner or later you will be the ONLY HUMAN BEING ON PLANET EARTH to call this almost extinguished RITMO CONVERTIBLE his own, whereas others can only read about it in misc. 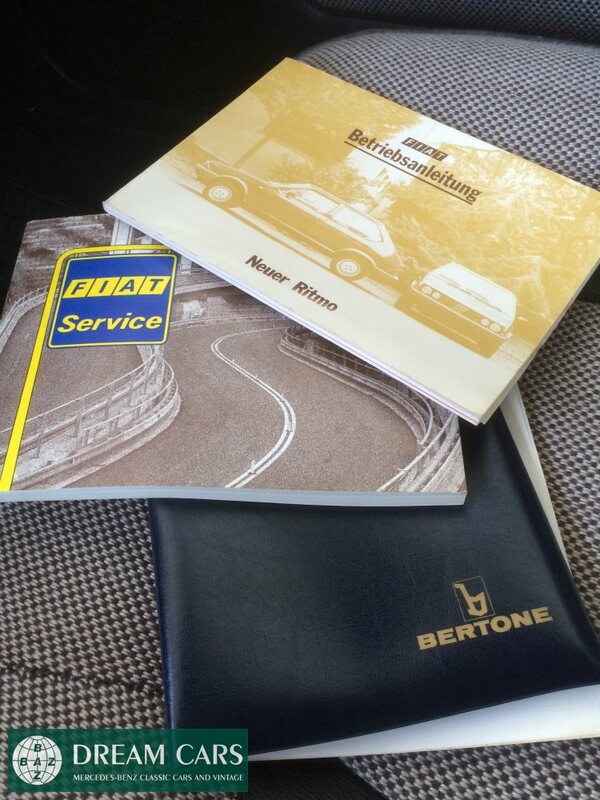 automobile history books.